I recently posted a blog article regarding the Fair Debt Collection Practices Act or commonly referred to as the “FDCPA”. Follow this link for my blog post entitled Neither a Community Association Nor its Management Have Liability Under the Federal Fair Debt Collections Practices Act. I received several questions and comments regarding the FDCPA. Some readers reminded me that Community Associations Institute (CAI) has a policy statement regarding the FDCPA. 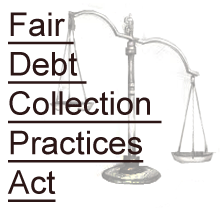 Follow this link to CAI’s Overview of the Fair Debt Collection Practices Act and follow this link to CAI’s policy. CAI recommends that members become educated as to their responsibilities, if any, to the FDCPA, as it evolves and as it is interpreted in the case law in various jurisdictions. While third party collectors encompass attorneys and other collection agencies, management companies, as agents, are largely exempt (with the exception of certain jurisdictions). CAI supports the exemption of management companies from the Act and encourages conservative definitions under the Act to best preserve the balance of due process owed to debtors with the right of a private property owner to aggressively pursue money owed to it. CAI opposes duplicative legislation at the state level that imposes state penalties for violations that are already incorporated within the FDCPA. David Swedelson is a founding partner at SwedelsonGottlieb, Community Association Attorneys. He can be contacted at dcs@sghoalaw.com.